The ‘Jeep wave’ is a sign of brotherhood and sisterhood among Jeepers and our shared love for the off-road lifestyle. So why restrict it to lifted Wranglers? I am relatively new to the Jeep community. I purchased my first Jeep only six months ago. However, I’ve been amazed at how deep this rabbit hole of “Jeepdom” is once you take your first peek through the looking glass. I have suddenly found myself studying up on topics like approach angles, suspension articulation, lockers, torque vs. horsepower, and the never-ending debate on wheels and tires. Thankfully, I was in familiar territory, having been in the UTV world for several years. 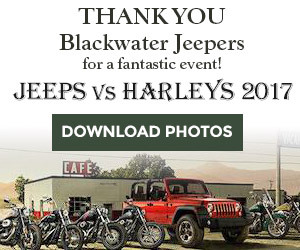 Perhaps it’s the off-road lifestyle in general that these machines promise that draws a certain type of personality. Jeep owners, however, are a very special breed of adventurer. They are an ancient race of warriors that has survived the tests of time and combat. At least that’s how I see myself behind the wheel of my four-wheeled beast. Armed with that newfound confidence, I proudly drove through town on that first day of ownership, just waiting to finally signal my arrival to the tribe that I had so long dreamed of joining. As my tribal brother was about to pass me, in one glorious motion, I raised my fingers, extended my thumb, and — keeping my palm firmly on the wheel — I executed what I thought was a textbook perfect wave. And with a whoosh of air, he drove right by me without waving back. Not even a casual glance. Nothing. I was as deflated as slashed tires after an encounter with a crazy ex-girlfriend. I spent the next few weeks discovering that getting someone to respond to my Jeep wave was proving to be an endeavor in frustration. I had to research this phenomenon. Had the Jeep wave become passé? Was it me? Was I doing it wrong? I needed to know. Oh, really, Mr. YouTube? That what I thought, too, but now I was beginning to doubt it. As I continued my research, I learned that the Jeep wave is as old as the Jeep brand. However, its true origins are a bit murky. Some say it began in World War II as a way for passing Jeeps to acknowledge friend or foe, or perhaps to acknowledge an officer without a salute, which would give away the presence of a high-ranking official to the enemy. Others speculate that after the war, returning soldiers wanted to own a Jeep of their own, and so this acknowledgment was a silent salute to other Jeep drivers who had probably served as well. However it began, it’s as much a part of Jeep as the seven-slot grille, and it embodies the friendly culture of Jeep. 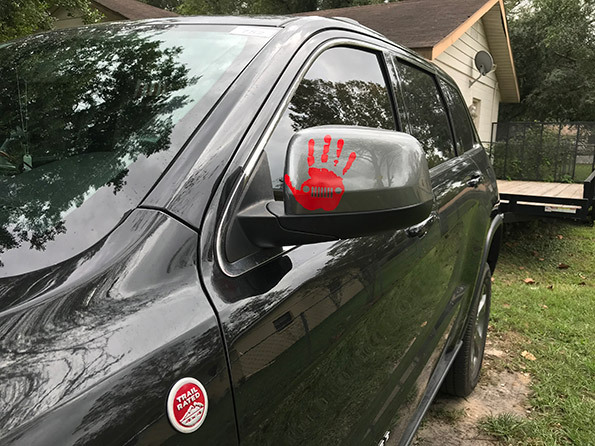 Craig Simons is a member of the Ocala (Fla.) Jeep Crew and the proud owner of “Black Widow,” a 2013 Jeep Grand Cherokee Trailhawk. He believes the Jeep wave should be shared with all Jeep owners, regardless of model, as a sign of friendship and respect. My curiosity got the best of me. Much to my disappointment, I learned that some Jeepers believe the Jeep wave is not to be given freely to all fellow Jeep owners. Some believe that this “salute” is to be reserved only for “worthy” Jeeps. The most hurtful consensus I discovered said that only a Wrangler and no other model deserves a Jeep wave. That one explained, however painfully, why I rarely received a wave: I drive a “lowly” Grand Cherokee. My heart was broken. Thankfully, it’s a really big internet, and the more I dug, the better I felt. As it turns out, the Jeep wave has no rules, no standards and no guidelines, and that most definitely makes it a Jeep thing. Embracing the best ideals of Jeep culture, I vowed to wave at each and every Jeep I pass, regardless of the model. Lo and behold, I’m getting more returned waves these days. We are all Jeeps, after all, and this tribe is better by being bigger. When you hear “It’s a Jeep thing,” that means we understand each other in a special way that others may not get. 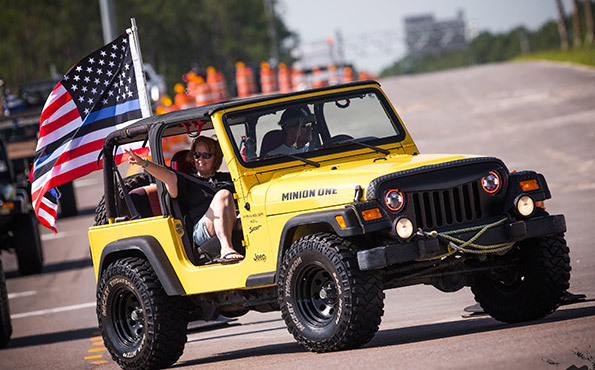 Jeep owners and aficionados carry the Jeep culture with them as well as spreading it to others. In my experience, off-road adventurers need to stick together and help each other out whenever possible. We are a family of like-minded individuals, I’d like to think. We see a Facebook post that someone is stuck, and we jump at the chance to get them going again. We love to flex the capabilities of our vehicles. They are more than basic transportation. They are adventure machines! We are the warriors in the woods! The Jeep wave is absolutely for all Jeeps! It’s a token of both friendship and respect. Share the love, brothers and sisters! You never know — you might just get a wave back from a Toyota Land Cruiser. Kindness is contagious, after all.